"The individual is believed to be a Russian national, and has been in contact with at least one anti-malware company, Kaspersky Lab, in an attempt to sell a tool that could be used to decrypt victims' files. Kaspersky Lab set about locating the man by resolving the proxied IP addresses used to communicate with the world to their real addresses. The proxied addresses turned out to be zombie PCs in countries such as the US, which pointed to the fact that GPcode's author had almost certainly used compromised PCs from a single botnet to get Gpcode on to victim's machines." E-Gold - account - 5437838"
The bottom line - out of the four unique emails used by the GPcode campaigners, only two were actively corresponding with the victims, each of them requesting a different amount of money, but both, taking advantage of U.S based web services to accomplish their attack. "We won't tolerate the use of alarmist warnings or deceptive 'free scans' to trick consumers into buying software to fix a problem that doesn't even exist," Washington Attorney General Rob McKenna said. "We've repeatedly proven that Internet companies that prey on consumers' anxieties are within our reach." Sadly, Branch Software is the tip of the iceberg on the top of the affiliates participating in different affiliation based programs, which similar to IBSOFTWARE CYPRUS and Interactivebrands, which I've been tracking down for a while, are the aggregators of scareware that popped up on the radars due to their extensive portfolios. These three companies offering software bundles or plain simple fake software, are somewhere in between the food chain of this ecosystem, with the real vendors paying out the commissions on a per installation basis slowly starting to issue invitation codes that they've distributed only across invite-only forums/sections of particular forums. Behind these brands is everyone that is participating in the franchise and is putting personal efforts into monetizing the high payout rates that the fake security software vendor is paying for successful installation. These high payout rates -- with the financing naturally coming straight from other criminal activities online -- are in fact so high, that I can easily say that the last two quarters we've witnesses the largest increase of such domains ever, and they're only heating up since the typosquatting possibilities are countless and they seem to know that as well. It's important to point out that their business model of acquiring traffic is outsourced to all the affiliates that do the blackhat SEO, SQL injections, web sessions hijacking of malware infected hosts in order to monetize, so basically, you have an affiliates network whose actions are directly driving the growth into all these areas. Throwing money into the underground marketplace as a "financial injection", is proving itself as a growth factor, and incentive for innovation on behalf of all the participants. 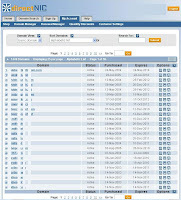 Here are some of the most recent fake security software domains, a "deja vu" moment with a known RBN domain from a "previous life" that is also parked at one of the servers, and evidence that typosquatting for fraudulent purposes is still pretty active with a dozen of Norton Antivirus related domains, some of which have already started issuing "fake security notices" by brandjacking the vendor for traffic acquisition purposes. Antivirus-Alert .com (203.117.111.47) where pepato .org a domain that was used in the Wired.com and History.com IFRAME injections, which back in March was also hosted at Hostfresh (58.65.238.59). 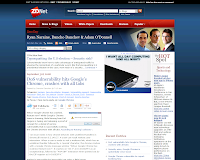 Fake Antivirus Inc. is not going away as long as the affiliate based model remains active. If the real vendors were greedy enough not to share the revenues with others, they would have been the one popping up on the radar, compared to the situation where it's the affiliate network's participations greed that's increasing their visibility online. Modified versions of popular open source crimeware kits rarely make the headlines due to the fact that anyone can hijack a crimeware kit's brand, build and innovate using its foundations, and claim it's a new version released by the original authors. That's of course in between the tiny time frame until he's exposed as the fake author of Zeus that may have in fact came up with a unique feature that the original authors didn't include. This modified version of Zeus is yet another example of how cybercriminals are actively modifying crimeware kits, literally making such practices as keeping version numbers irrelevant. While the administrator is managing his botnet, he can load local, or tunein the built-in online radio stations the author of this modification included, next to changing Zeus entire graphical layout. Let's take into consideration another example, the infamous Pinch DIY malware builder, that's been around for over 4 years. With the populist arrest of its authors in 2007, cybercriminals are still innovating on the foundations offered by Pinch, and thanks to its publicly obtainable source code. It's also worth pointing out that these two Zeus and Pinch modifications are courtesy of a single individual, that in between modifications of popular crimeware kits, seems to be busy porting different modules on different malware kits and web based malware, knowingly or unknowingly contributing to the convergence of spamming, DDoS, web based malware, and botnet management kits. From a sarcastic perspective - what's next? Perhaps a built-in slideshow of random screenshots taken from malware infected desktops in the botnet, or even a pink layout modification for female botnet masters. Customerization, and customer tailored services can make anything happen, and naturally enjoy the higher profit margins. "Code Virtualizer will convert your original code (Intel x86 instructions) into Virtual Opcodes that will only be understood by an internal Virtual Machine. Those Virtual Opcodes and the Virtual Machine itself are unique for every protected application, avoiding a general attack over Code Virtualizer. 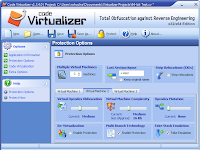 Code Virtualizer can protect your sensitive code areas in any x32 and x64 native PE files (like executable files/EXEs, system services, DLLs , OCXs , ActiveX controls, screen savers and device drivers). When an attacker tries to decompile a block of code that was protected by Code Virtualizer, he will not find the original x86 instructions. Instead, he will find a completely new instruction set which is not recognized by him or any other special decompiler. This will force the attacker to go through the extremely hard work of identifying how each opcode is executed and how the specific virtual machine works for each protected application. Code Virtualizer totally obfuscates the execution of the virtual opcodes and the study of each unique virtual machine in order to prevent someone from studying how the virtual opcodes are executed." With Cyber-as-a-Service business model becoming increasingly common, the entire quality assurance model in respect to malware is slowly maturing from individual malware crypting propositions, where the seller of the service is basically taking advantage of a diverse set of public/private tools, into DIY web services offering crypting discounts on a volume basis, and perhaps most importantly - improving the customer's experience by letting him take advantage of the inventory of crypting tools and bypassing verification services. Within the tool's inventory are naturally lots of (pirated) commercial anti-reverse engineering tools. As we've seen before, whenever someone starts commercializing what used to be a self-selving process, others will either follow, or disintermediate their services by persistently releasing crypting tools for free in the wild. At the end of the day, it's all a matter of how serious they're about commercializing this market segment, and taking into consideration that a spamming vendor is offering malware crypting services "in between" the rest of the services in their portfolio, this underground cash cow is yet to prove itself in the long term. This spammer is DomainKeys verified, a natural observation considering that the spam compaign which I discussed last Wednesday is using bogus Yahoo Mail accounts, and is spamming only Yahoo Mail users through a segmented emails database. Not necessarily what I wanted to achieve, but once posting the spam campaigns SEO URLs, Yahoo's crawler's picked up the post pretty fast, and have ruined the SEO effect, with everyone clicking on the campaign's links reaching the post. Close to 15,000 unique visitors reached the article during the past 7 days since the now hijacked, spammer's link is no longer achieving the effect it used to. What does this prove? It proves that users tend to trust emails that pass through spam filters so much that they actually click on the links. And whereas it's a spam campaign, and not a malware campaign, the next time they over trust such a email, they'll expose themselves to client-side vulnerabilities courtesy of a copycat web malware exploitation kit. - yahoo.com/search/search;_ylt=?p=||||||||||||||||clapmoon||||||||||||$229|||||||||||||||| leads to clapmoon.com (122.198.62.4). $50 in this particular case, however, keeping in mind that the email harvester is anything but ethical, this very same database will be sold and re-sold more times than the original buyer would like to know about. Moreover, what someone is offering for sale, may in fact be already available as a value-added addition to a managed spamming service. With metrics and quality assurance applied in a growing number of spam and phishing campaigns, filling in the niche of email harvesting by distinguishing between different types of obfuscated emails by releasing an easily embeddable module, was an anticipated move. What's to come? Spam and malware campaigns across social networks "as usual" will propagate faster thanks to the ongoing harvesting of usernames within social networks, that would later on get imported in Web 2.0 "marketing" tools targeting the high-trafficked sites and automatically spamming them. From a spammer's perspective, geolocating these 250k emails could increase their selling prices since the buyers would be able to launch localized attacks with messages in the native languages of the receipts. Is the demand for quality email databases fueling the developments of this market segment, or are the spammers self-serving themselves and cashing-in by reselling what they've already abused a log time ago? That seems to be the case, since there's no way a buyer could verify the freshness of the harvested emails database and whether or not it has already been abused. For the time being, we've got several developed and many other developing market segments within spamming and phishing as different markets with different players. On one hand are the legitimately looking spamming providers offering "direct marketing services" working with lone spammers who find a reliable business partner in the face of the spamming vendor whose customers drive both side's business models. 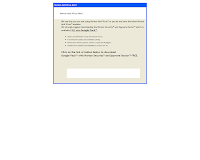 On the other hand, you've got the spammers excelling in outsourcing the automatic account registration process, coming up with ways to build a spamming infrastructure -- already available as a module to integrate in managed spamming services -- using legitimate services as a provider of the infrastructure. Despite that the arms race seems to be going on at several different fronts, spammers VS the industry and spammers VS spammers fighting for market share, the entire underground ecosystem is clearly allocating a lot of resources for research and development in order to ensure that they are always a step ahead of the industry. 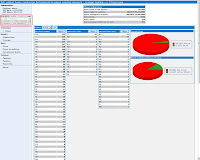 The Diverse Portfolio of Fake Security Software series are prone to continue taking a bite out of cybercrime, and the people who distribute them on a affiliation based revenue sharing model. We're slowly entering into "can you find the ten similarities" stage in respect to web malware exploitation kits, and their coders continuous supply of copycat malware kits under different names, taking advantage of different exploits combination. Copycat web malware exploitation kits are faddish, however, from a strategic perspective, releasing exploits kits like this one covered by Trustedsource, consisting entirely of PDF exploits, can greatly increase the exploitability level of Adobe vulnerabilities in general. A similar web malware exploitation kit, once again using only Adobe related exploits is Zopa. Have you seen this layout before? That's the very same layout MPack and IcePack were using, were in the sense of cybercriminals preferring to use much mode modular alternatives these days. Ironically, Zopa is more expensive than MPack and IcePack, with the coder trying to cash-in on its biased exclusiveness and introduction stage buzz generated around it. The second web malware exploitation kit is relying on a mix of exploits targeting patched vulnerabilities affecting IE, Firefox and Opera, with its authors asking for $50 for monthly updates, updates of what yet remains unknown. Both of these kits once again demonstrate the current mentality of the kit's coders having to do with -- thankfully -- zero innovation, fast cash and no long-term value. 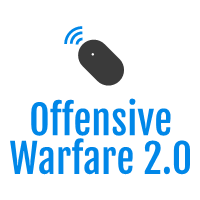 However, modularity, convergence with traffic management kits, vertical integration with cybercrime services and bullet proof hosting providers, advanced metrics, evasive practices, improved OPSEC (operational security), and dedicated cybercrime campaign optimizing staff, are all in the works. Think spammers.Yahoo.com trusts Yahoo.com, consequently, a spam campaign that using bogus Yahoo.com email accounts, and spamming only Yahoo users with links to Yahoo's search engine using queries leading to the exact spammer's URLs, is almost 100% sure to make it through spam filters. That seems to be case with this spam campaign perfectly fitting into the "spam that made it through" category. The search queries lead to galestay.com; housetear.com; callfold.com; richorbit.com with several hundred spam domains participating in the campaign parked at 218.61.7.21 and 220.248.185.64. With CAPTCHA solving and automatic account registration getting easier to outsource next to the easily obtainable segmented email databases of a particular ISP or web based email service provider, launching such a campaign requires less efforts than it used to before. Interestingly, the spammed through Yahoo emails never leave Yahoo Mail since it's only spamming Yahoo users according to the extensive number of emails CC-ed. What's to come in the long-term? With an entire spamming infrastructure build on the foundation of the hundreds of thousands of bogus accounts at legitimate services, spammers are already starting to embrace the "legitimate sender" mentality and are working on ways to integrate that infrastructure in their spam systems, evidence of which can be seen in several different managed spamming services. Surreal, especially when you get to read that EstDomains has "ruthlessly suspended over five thousand domains only for last week", and also, that it "has a reliable ally in its battle against malware in a face of Intercage, Inc". "The EstDomains, Inc management does not deny the fact that no one is secured from having a customer who uses provided services for delinquent purposes. But it must be noted that the carefully planned infrastructure of EstDomains, Inc makes the special provision for the cases of malware distribution that may originate from the domain name registered under the company's name. Such domain names are suspended immediately along with domain holder's account if there is an evidence of malware presence on the web site. According to the most recent statistics over five thousand domain names were detected and ruthlessly suspended by EstDomains, Inc specialists only last week. The company also has a reliable ally in its battle against malware in a face of Intercage, Inc which provides company with the hosting services of the highest quality. But the outstanding performance of hosting services is not the sole reason why EstDomains, Inc appreciates this partnership so greatly. 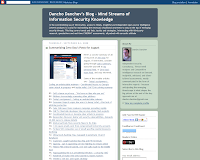 Intercage, Inc generously provides EstDomains, Inc specialists with reports regarding discovered malware vehicles. As the main database for additional domain name management services is located in Intercage Data Center, EstDomains, Inc has the perfect opportunity to get notifications of the slightest mark of malware presence in the shortest time and take measures in advance. " googlescanners-360.com isn't registered with us. As for other domains, the ones, which were registered through us, have been suspended. Regarding our preventive measures, the fact that you don't see them doesn't mean there isn't any. Yes, we don't write about them but in most cases we suspend whole accounts with problematic domains and look for connections to other accounts etc. During the last week we've suspended over 15000 different domains." What's more disturbing regarding this particular domain registrar is that it's a U.S based operation, namely, using the lack of international cybercrime cooperation as an excuse for not taking actions earlier doesn't fit into the picture. Moreover, this is just the tip of the iceberg, and taking into consideration a personal mentality that the cybercriminals you know are better than the cybercriminals you don't know, the RBN or any of its "leftovers" aren't fully taking advantage of the tactics they could be using in order to make it harder to shut them down, but how come? Simply, they don't have to put extra efforts and would once again remain online for years to come, which is perhaps more disturbing at the first place. What in the world is the Russian Business Network, is it still alive and kicking, are the same people that used to maintain my favorite netblock ever, still the ones running it, and what tactics are they taking advantage of in order to make it harder for the community to establish direct links with a particular netblock and the RBN itself? With RBN's "leftovers" -- InterCage, Inc., Softlayer Technologies, Layered Technologies, Inc., Ukrtelegroup Ltd, Turkey Abdallah Internet Hizmetleri, and Hostfresh -- making headlines just like the way it should be, what I've been researching for the past couple of months is how they've migrated from the centralized hosting provider to what appears to be a fully operational franchise. The business model is very simple, the RBN through its extensive underground networking skills supplies to customers to franchisers operating small anti-abuse netblocks across the globe, where they offer dedicated hosting and share revenue with the RBN. Anyone trusted enough and capable of supplying such netblocks starts running the RBN anti-abuse franchise. It's also worth pointing out that these franchises are in fact starting to cut the middle man, and disintermediate the RBN by actively advertising their services in order for them to create a self-sustainable business model without having to rely on the RBN connecting them with customers. What used to be a centralized cybercrime powerhouse operating several highly visible anti-abuse netblocks, is today's decentralized infrastructure, with the profit margins for the anti-abuse services that it's logically capable to break-even and earn profits even with a few high profile dedicated hosting customers. Anyone can be the Russian Business Network, gain experience into the market segment, then disintermediate them by starting to advertise their own services. From a powerhouse to a franchise model, what the RBN had to offer can be easily duplicated by a countless number of local RBN's, and this is only starting to take place. Lazy Summer Days at UkrTeleGroup Ltd. The less technologically sophisticated lone cybercriminals have always enjoyed the benefits of stand alone DIY applications. From DIY exploit embedding tools in a Cybercrime 1.0 world, maturing to today's web malware exploitation kits and their copycat alternatives, to plain simple spamming tools that matured into today's managed spamming services already starting to offer spamming services beyond email, stand alone spamming applications remain pretty popular. With yet another Skype spamming tool released in the wild, which just like the previous one I discussed a couple of months relies on Skype's support for wildcast searches, and is spamming with authorization request messages until the user adds the contact, malicious parties seems to be more interested into supplying the desired services, than emphasizing on the quality assurance process. Despite the possibilities for localized targeted attacks delivering messages with malicious URLs into the user's native language, benchmarking this tool's features next to the ones offered by certain bots taking advantage of social engineering by spamming the infected host's contacts, is positioning it far behind even the most primitive IM spreading bot modules, whose extra layer of social engineering personalization makes their IM malware campaigns much more effective ones. Following the previous summaries of June's and July's threatscape based on all the research published during the month, it's time to summarize August's threatscape. August's threatscape was dominated by a huge increase of rogue security software domains made possible due to the easily obtainable templates for the sites, several malware campaigns targeting popular social networking sites, Russian's organized cyberattack against Georgia with evidence on who's behind it pointing to "everyone" and a few botnets dedicated to the attack making the whole process easy to outsource and turn responsibility into an "open topic", several new web based botnet management kits and tools found in the wild, evidence that the 76service may in fact be going mainstream since the concept of cybercrime as a service is already emerging, and, of course, a peek at India's CAPTCHA solving economy, where the best comment I've received so far is that every site should embrace reCAPTCHA, so that while solving CAPTCHAs and participating in the abuse of these services in question, they would be also digitizing books. As usual, August was a pretty dynamic month for the middle of summer, with everyone excelling in their own malicious field. 01. McAfee's Site Advisor Blocking n.runs AG - "for starters"
Event of the month? Could be, but just like every "event of the moth" everyone seems to be once again restating their "selective retention" preferences. What is selective retention anyway? Selective retention is basically a situation where once Russian is attacking another country's infrastructure, you would automatically conclude that it's Russian FSB behind the attacks and consciously and subconsciously ignore all the research and articles telling you otherwise, namely that the FSB wouldn't even bother acknowledging Georgia's online presence, at least not directly. Moreover, talking about the FSB as the agency behind the cyberattacks indicates "selective retention", talking about FAPSI indicates better understanding of the subject. In times when cybercrime is getting ever easier to outsource, anyone following the news could basically orchestrate a large scale DDoS attack against a particular country in order to forward the responsibility to any country that they want to. In Russia vs Georgia, you have a combination of a collectivist society that's possessing the capabilities to launch DDoS attacks, knows where and how to order them, and that in times when your country is engaged in a war conflict drinking beer instead of DDoS-sing the major government sites of the adversary is not an option. 09. Who's Behind the Georgia Cyber Attacks? If it's the botnets used in the attacks, they are known, if it's about who's providing the hosting for the command and control, it's the "usual suspects", but just like previous discussion of the Russian Business Network, it remains questionable on whether or not they work on a revenue-sharing basis, are simply providing the anti-abuse hosting, or are the shady conspirators that every newly born RBN expert is positioning them to be. Cheap conversation regarding the RBN ultimately serves the RBN, and just for the record, there's a RBN alternative in every country, but the only thing that remains the same are the customers, tracking the customers means exposing the RBN and the international franchises of their services, making it harder to identify their international operations. 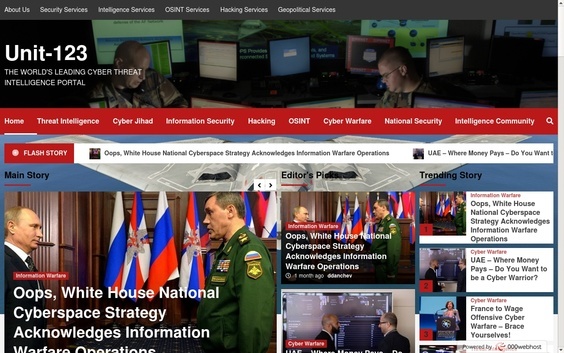 And given that the "tip of the iceberg", namely RBN's U.S operations remain in tact, talking about taking actions against their international operations in countries where cybercrime law is still pending, is yet another quality research into the topic building up the pile of research into the very same segments of the very same ISPs. Just for the record - these "very same ISPs" are regular readers of my blog, and if you analyze their activities, they're definitely reading yours too, ironically, surfing through gateways residing within their netblock that are so heavily blacklisted due to the guestbook and forum spamming activities that their bad reputation usually ends up in another massive blackhat SEO campaign exposed. It's releases like these that remind us of the amount of time, efforts and personal touch that a malicious attacker would put into such a management kit, currently acting as a personal benchmark as far as complexity and features indicating the coder's experience with botnets is concerned. What's he's failing to anticipate is that this kit is sooner or later going to turn into the "MPack of botnet management"
Taking into consideration the mentality surrounding a particular country's cybercriminals, how they think, how they operate, what do they define as an opportunity, and how much personal efforts are they willing to put into their campaigns, I wouldn't be surpised if a Russian vendor offering 100,000 bogus Gmail accounts for sale has in fact outsourcing the account registration process to Indian workers, paid them pocket change and is then reselling them ten to twenty times higher than the price he originally paid for them. Here's a concise summary of all of my posts at Zero Day for August. If interested, consider going through July's summary, subscribe yourself to my personal feed, or Zero Day's main feed, and stay informed. Some of the notable articles are - Today's assignment : Coding an undetectable malware ; Coordinated Russia vs Georgia cyber attack in progress and Inside India's CAPTCHA solving economy. 01. Cuil's stance on privacy - "We have no idea who you are"
16. Typosquatting the U.S presidential election - a security risk? Is it a Remote Administration Tool (RAT) or is it malware? That's the rhetorical question, since RATs are not supposed to have built-in Virustotal submission for the newly generated server, antivirus software "killing" and firewall bypassing capabilities. - Anti Debugging (Anti VMware, Anti Sandboxie, Anti Norman Sandbox, Anti VirtualPC, Anti Anubis Sandbox, Anti CW Sandbox)"
Malware coders or "malware modulators"? With the currently emerging malware as a web service toolkits porting common malware tools to the web, drag and drop web interfaces for malware building are definitely in the works. For the cheap cybercriminals not wanting to invest a couple of thousand dollars into purchasing a cutting edge web malware exploitation kit -- a pirated copy of which they would ironically obtained several moths later -- with all the related and royalty free updates coming with it, there are always the copycat malware kits like this one offered for $100. Taking into consideration the proprietary nature of some of the kits, the business model of malware kits was mostly relying on their exclusive nature next to the number, and diversity of the exploits included in order to improve the infection rate. This simplistic assumption on behalf of the coders totally ignored the possibility of their kits leaking to the general public, or copies of the kits ending up as a bargain in particular underground deal where the once highly exclusive kit was offered as a bonus. "Me too" web malware kits were a faddish way to enjoy the popularity of web malware kits like MPack and Icepack and try to cash in on that popularity by coming up average kits lacking any significant differentiation factors in the process. 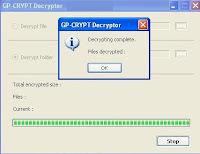 But just like the original and proprietary kits, whose authors didn't envision the long term growth strategy of integrating different services into their propositions or the kits themselves, the authors of copycat malware kits didn't bother considering the lack of long-term growth strategy for their releases. Branding in respect to releasing a Firepack malware kit to compete with Icepack which was originally released to compete with Mpack, has failed to achieve the desired results as well. And with malware kits now a commodity, and underground vendors excelling in a particular practice with the long term objective to vertically integrate in their area of expertise -- think spammers offering localization of messages into different languages and segmented email databases from a specific country -- would we witness the emergence of managed cybercrime services charging a premium for providing fresh dumps of credit card numbers, PayPal, Ebay accounts or whatever the buyer is requesting? That may well be the case in the long term. The "campaign managers" behind these fake security software propositions are not just starting to take park them at up to three different locations, localize the sites to different languages and introduce client-side exploits, just in case the end user gets suspicious and doesn't install it, but also, the natural evasive practices. For instance, once some of their domains get detected and blocked, they put them in a stand by mode and relaunch them online in a week or so, or ensure that only those coming to the domains from where they are supposed to come - yet another blackhat SEO or SQL injection attack - are the only ones getting to see the download screen. The campaigns and the hosting providers are continuously monitored, especially taking into consideration the fact that the domains are already appearing in Alexa's web rankings with sudden peaks of traffic.